This version of 'PDFPro' comes with improved Importing, Exporting, Document Sharing and Bookshelf view. New fascinating features like TypeWriter, Blank PDF and Screen Brightness. The application now comes FREE for basic users and includes advanced features under In-App purchase for advance users. 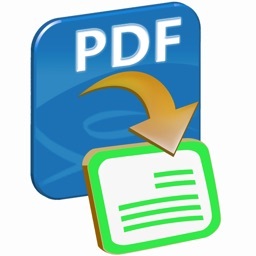 'PDFPro' is a PDF Reader with special features of Annotations, Audio Notes and Text Notes. 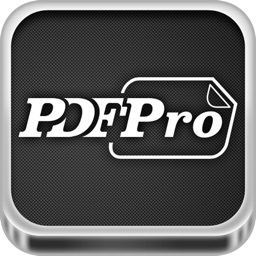 'PDFPro' is designed with the simple aim to make the experience of e-reading pleasurable for users and an ideal and a must-have app. 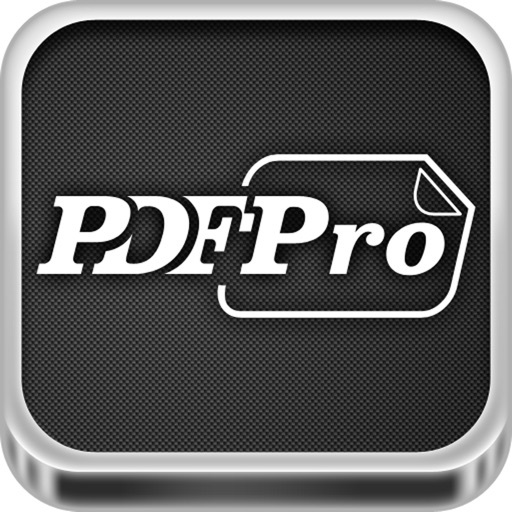 PDFPro promises smooth transitions and effects for eye-pleasing viewing, editing or reading of PDF files. 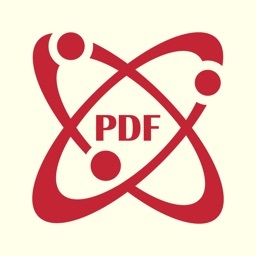 PDFPro's make PDF management easier, with robust features like sharing via email, text notes, audio notes, dynamic search, handy doodle toolbar and much more. Users' everyday hassle of managing PDF files are mitigated and makes life easy. 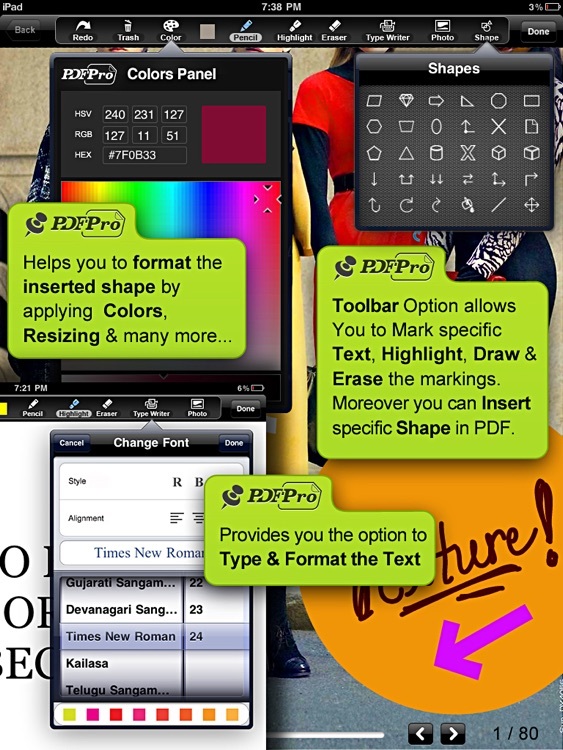 With PDFPro, editing PDFs is simple, quick and fun! - Default Categories: Manage your PDFs in the default categories available. - Search: Search PDFs from within any category. - Add Category: User can add new categories to store the PDFs. - Delete Category: User can delete categories other than the default categories. 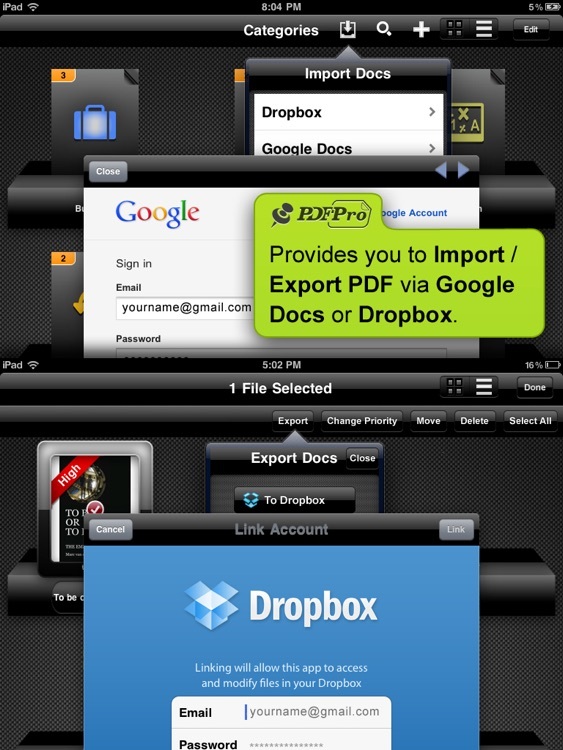 - Import Docs: Import PDFs from Dropbox account within a few taps. - Priority: Enables user to label files according to their priority(which have preset respective colors) for easy spotting and/or create your own priority label. - Move: Allows user to move the PDF from one category to another. - Add Blank PDF: User can add a blank PDF. - Save As: Duplicate the same PDF with new name in the same category. - Wi-Fi Transfer: Transferring PDF files via Wi-Fi made easy. - Wi-Fi Print: Print an entire file or a single page using Wi-Fi. - Audio Recording: This ultimate feature records your voice which is automatically saved for future playback. - Page History: Keeps a track of the history of previously viewed pages including their page number along with the date and time it was viewed on. - Page orientation: User can rotate the PDF in the steps of 90 degree in clockwise direction. - Signature: Add a personal touch! 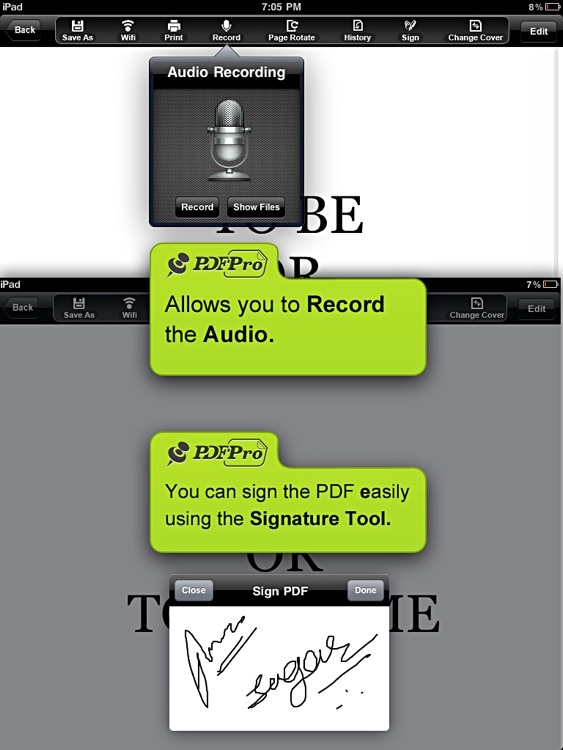 Personalize PDF by adding a signature to pdf documents. 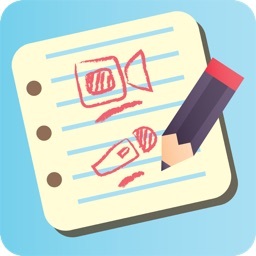 - Add Blank Page: Add a blank page to a blank PDF document. want. Select any page from the PDF to make it the Cover page. - Bookmarks: Bookmarking a single page made easy with a single tap on the icon. 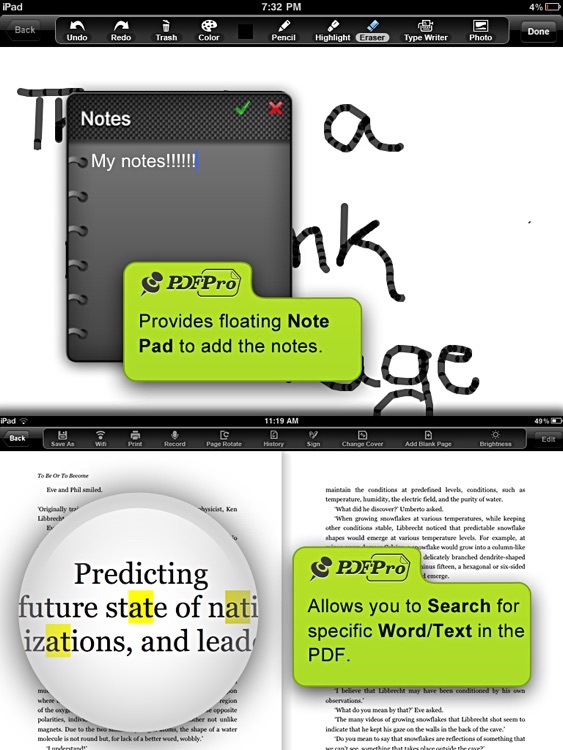 - Sticky Notes: This impeccable feature of PDFPro, helps to jot down important points per page for future reference. - Search: Every search will be highlighted in the entire PDF and a single tap will take you to its result on leading search engines for more. - Share: PDFPro enables you to share instantly! 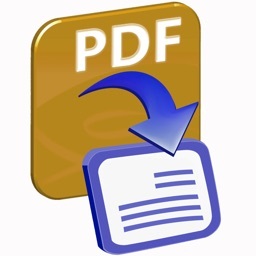 Share a PDF/PDF page (along with edited changes) via Email. - Undo/Redo: Undo or Redo user’s last action in Drawing mode. - Pencil Tool: Change the size, color, opacity of the pencil as required and start editing. - Highlighting Tool: The highlighting tool enables the user to choose the size, color and opacity for highlighting within the PDF. - Eraser Tool: Select size of the eraser from large, medium or small to omit changes made in the document. - Bookmark Tool: The Bookmark Tool lets the user to easily add or delete bookmarks to PDF files to mark the pages for future reference. - Slider / Scroll bar: The Slider Tool comes with the Inner Jumping Page facility allows the user to jump from one page to another smoothly in a jiffy i.e. User can hide/unhide the slider tool by double tapping on the screen. - Book Content Search: Under the Book Content Search, user gets the remarkable option of keyword search for an entire PDF file. Also, while searching user will get to know the total number of matches on a single PDF page as well. - Highlighted Searched Text: Highlights searched text for easy find.